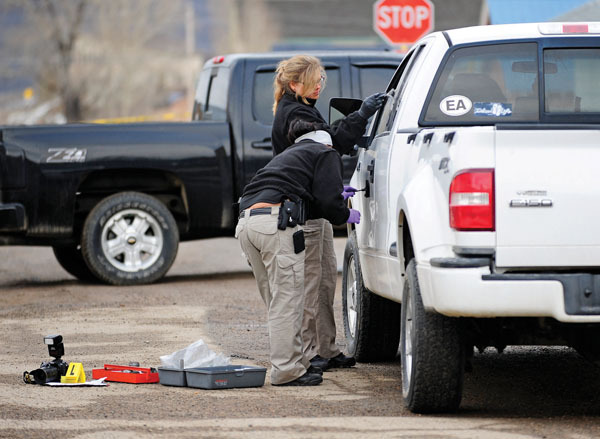 Results of an autopsy performed on April 3 show he was shot four times, according to Grand County Coroner Brenda Bock. Stevens died outside the home of John and Heather Stein, respectively a lieutenant with the Grand County Sheriff’s Office and Grand County deputy district attorney of the 14th Judicial District. “As for who fired the weapon or if Mr. Stevens was armed, that remains part of the active investigation and cannot be released at this time,” said Colorado Bureau of Investigation spokeswoman Susan Medina. “We’re not commenting on the weapon component at this time,” she added, when asked if more than one weapon was involved. Up to now, authorities have been saying a deputy of the Grand County Sheriff’s Office discharged the weapon. 9News, citing unidentified sources, reported April 2 that Heather Stein fired at least one shot at the man who was killed. Heather Stein placed the 911 call regarding the incident shortly before midnight, according to the CBI. A neighbor to the Steins in Hot Sulphur Springs told the Sky-Hi News he notices discrepancies in the timeline authorities so-far have reported, especially the timing of the altercation outside the couple’s residence and a possible 911 call to authorities made before Heather Stein’s call. Authorities have been unwilling to release dispatch recordings from that night. An open records request submitted to Grand County Sheriff Rod Johnson on April 2 by the Sky-Hi News was denied April 3 on the grounds of “harming an ongoing investigation” by the 1st Judicial District Attorney’s Office and CBI. CBI is leading the investigation. The sheriff stated in his email he would be discussing this week with those agencies possible release of the 911 and dispatch tapes.